Over the years we have asked some of our favourite djs, producers and carnival goers to share their Notting Hill Carnival tips with us. Here are some tips from HDD friends and family on the best sound systems to visit (now updated for 2018). Check Time Out London’s soundsystem map to help you find your way. 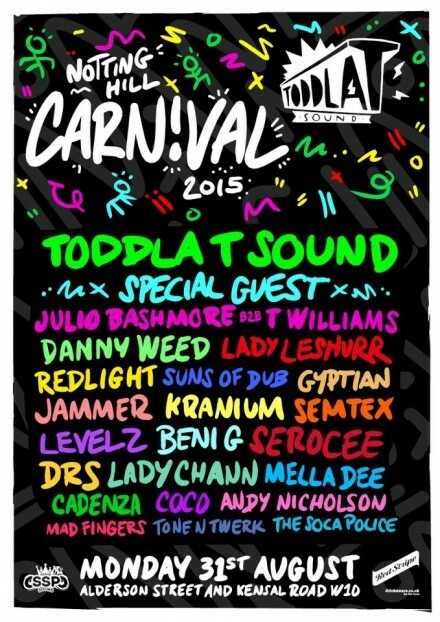 Plus this year the official organisers of Notting Hill Carnival have an app and loads of useful info on their website. A minute’s silence will be help at 3pm on Sunday 26th and Monday 27th to honour the victims of the Grenfell fire. Nasty Love on Colville Gardens, Volcano on All Saints Road, GT Flex/Mayhem Crew on Middle Row/Conlan St, Nigerian Corner on Adela Street (this one is on carnival Monday only), Toddla T and SSP Sound system on Alderson Street are some of our carnival favourites, but this year look out for Hoodcelebrityy, Alicai Harley, Maleek Berry and loads more at the RBMA stage at Emslie Horniman’s Pleasance Park on Sunday and for the soca fans Mangrove will be running road with Iwer George, Patrice Roberts, Voice and more. 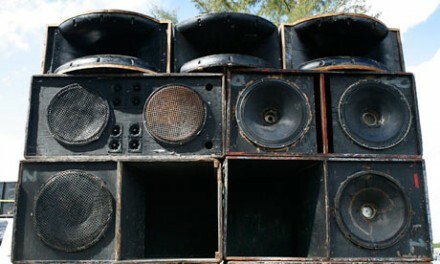 This year marks 50 years of Notting Hill Carnival and Boiler Room will be streaming from some of carnival’s best soundsystems this Sunday 28th and Monday 29th of August. As carnival lovers they asked us to share some of our carnival tips, watch Hootie Who reveal one of carnival’s best secrets above. More info on the soundsystems that Boiler Room will be covering here. Not sure where the soundsystems we have recommended over the last few years will be? The map below will help you find your way. Thanks to the London Notting Hill Carnival for this year’s carnival map, check out their website for more carnival info. Unfortunately Notting Hill Carnival favourites Good Times, Rampage, Sancho Panza won’t be taking part this year but we highly recommend checking out Nasty Love, Glady Wax, Volcano, The Heatwave at Different Strokes on Sunday, and Nigerian Corner and Toddla T’s takeover of SSP Soundsystem on Monday. There are more than enough soundsystems to check out so go explore and if you want to hear the best soca follow the trucks for a bit! As you will see from our past posts we and our friends have given you advice on soundsystems since 2011. The advice from 2011, 2012 and 2013 is all still relevant and make sure to check out those posts as a lot of the soundsystems will still be there this year. 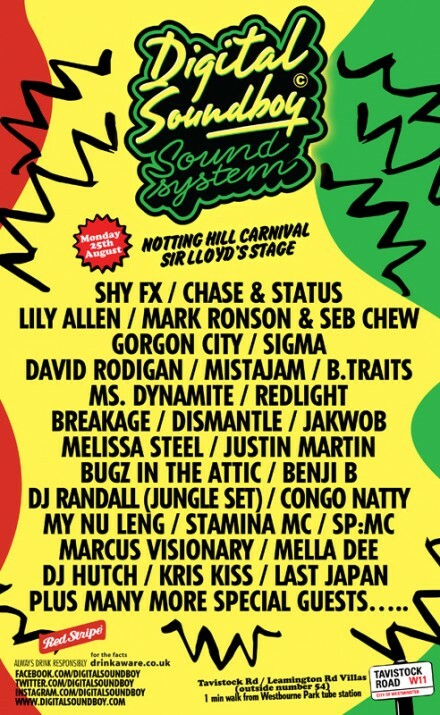 Remember the soundsystems will be there on carnival Sunday and Monday but Sunday is children’s day so it’s a little bit quieter. If you are planning on going to carnival on Sunday Keshav from Jus Now will be doing a drumming workshop in Powis Square from 3pm. The Nigerian Corner on Adela Street (it’s the next street over from Toddla T’s soundsystem, plus we heard Patoranking, Phyno and Davido are in town so who knows they may pass through), The Digital Soundboy soundsystem is also one to check out on Tavistock Road. For more soundsystem info and a map check out the Time Out guide here.